Steph finished her Apprenticeship and became our Digital Marketing Specialist, Sam graduated with a First in FdSc CIT, we took on a new apprentice called Jamie and Leon aged nicely to the young age of 40. This year has been very busy with new staff, new clients, new technology and new products, we’re excited to be driving our clients into the future with innovative digital solutions and we can’t wait to unveil some of the products we’ve been working on. 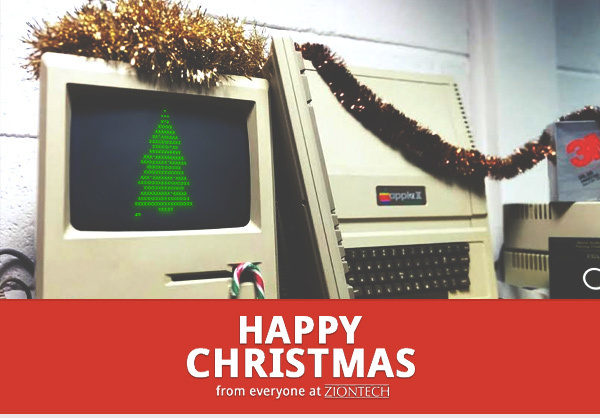 From all of us at Ziontech, have a Happy Christmas and we wish you every success in 2015!